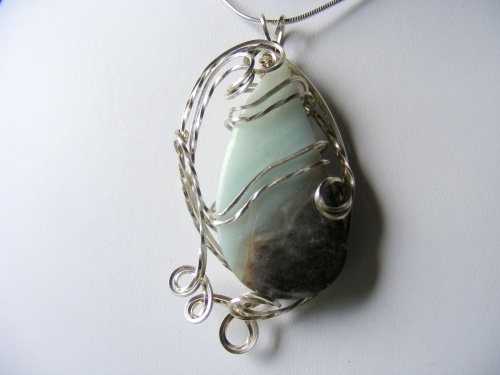 This pretty piece of amazonite has beautiful colors running through it light aqua's beige and dk brown. Sculpted in sterling silver design to enhance the stone and following the stones striae making this a one of a kind pieces. Measures 2 1/4" from top to bottom and 1" wide, comes with a sterling silver snake chain.